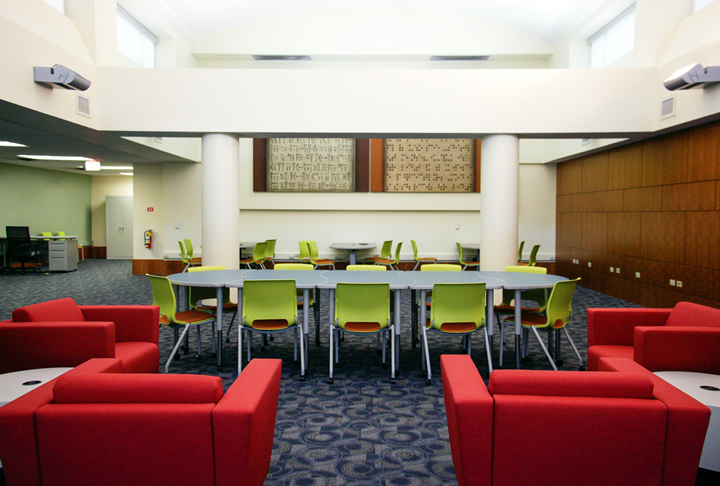 The University of Houston Libraries Digital Research Commons (DRC) is now open. The DRC offers a dedicated space for the UH community to learn more about using digital tools in teaching and research, receive hands-on instruction, attend workshops and talks, and use cutting-edge machinery. The DRC will host workshops and a reading group this semester. Workshops are open to all, and are designed for attendees to experiment and build digital research skills. The open reading group allows attendees to discuss the latest issues in digital scholarship and will examine projects, articles, and digital humanities centers. The Digital Research Commons is located in the MD Anderson Library Brown Wing, 2nd floor, room 266-C (floor map). For more information, contact Claude Willan, DRC director. 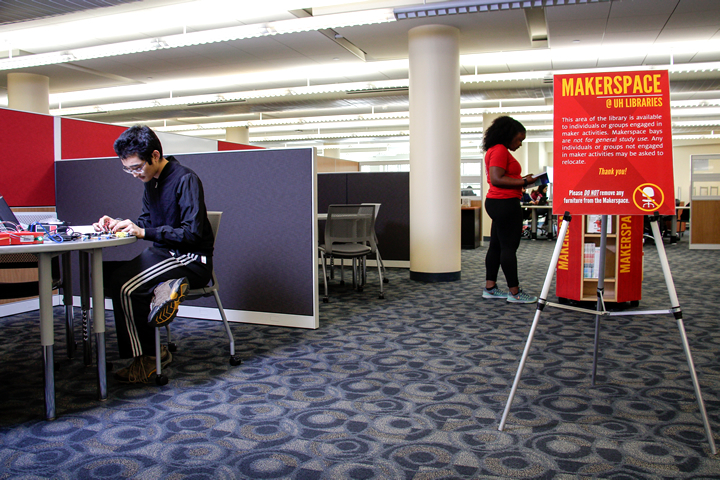 A new Makerspace at the University of Houston Libraries is now open. A new Makerspace at UH Libraries is now open for all UH students. The department of Electrical and Computer Engineering and UH Libraries have partnered to offer the UH community a dedicated space, located on the first floor of the MD Anderson Library within the Learning Commons, for building objects and electrical devices. All students on the UH campus, regardless of their college or department, are encouraged to explore the space and the opportunities it presents for discovery and collaboration. The Makerspace comprises five work bays that are open to individuals or groups to use when engaged in maker activities. A sixth bay offers access to high-end measurement and testing equipment. Walk-up use and class reservations are available. Faculty: request reservation. The MD Anderson Library offers check-out of a variety of low-power microelectronics kits and supplies, including Arduino Uno and TI LaunchPad, to work on in the Makerspace. Students are also welcome to bring their own materials. Basic support for maker activities is available from staff in the Makerspace Den during posted times. A grand opening celebration is scheduled for February 23. The University of Houston Libraries Rare Books Collections are built largely on gifts from individuals, whether they be single books, treasured collections built over years, or endowments intended to build and expand collections. Books are accepted into Special Collections based on their rarity, significance for research, and condition. 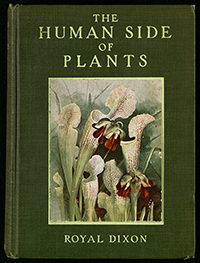 As part of the Rare Books Collections, books support student success by serving as tools for hands-on discovery, original research, and the development of critical thinking skills. Books are also displayed in physical and online exhibitions to bring delight and knowledge to the campus community and the general public. Books expand our world, preserve our shared history and culture, and inspire new discoveries by scholars and in the classroom. All donors of books will have a bookplate acknowledging their gift laid in each item. Donors of large collections will also have their names listed in the online catalog record for each item in the collection. 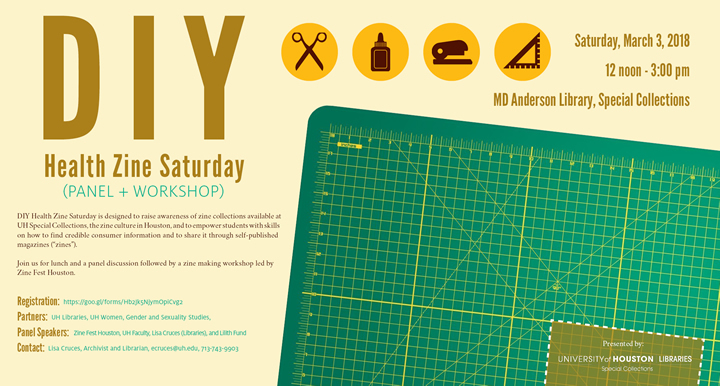 DIY Health Zine Saturday is designed to raise awareness of zine collections available at UH Special Collections, the zine culture in Houston, and to empower students with skills on how to find credible consumer health information and share it through self-published magazines (“zines”). On Saturday, March 3, from 12 noon to 3:00 p.m., join us for lunch and a panel discussion followed by a zine-making workshop led by Zine Fest Houston. For more information, contact Lisa Cruces, 713.743.9903. Over 40 million students and recent college graduates are using LinkedIn, the world’s largest professional network. Jobs, internships, graduate school information, and volunteer positions can be found on the networking platform, and employers actively seek potential job candidates in this space. It’s essential for every college student to maintain a professional online presence. The University of Houston Libraries is once again partnering with University Career Services to bring LinkedIn at the Library back for the spring 2018 semester. This popular event will provide students with the tools and knowledge to maximize their use of LinkedIn. LinkedIn at the Library is free and open to all UH students. Staff from the Libraries and Career Services will provide friendly critiques of students’ LinkedIn profiles (similar to a résumé critique) and offer best practices for networking on LinkedIn. Professional portraits will be offered to students to use in their LinkedIn profiles. Registration is not required. Drop-ins are welcome. When: Wednesday, February 7 from noon to 2 p.m. 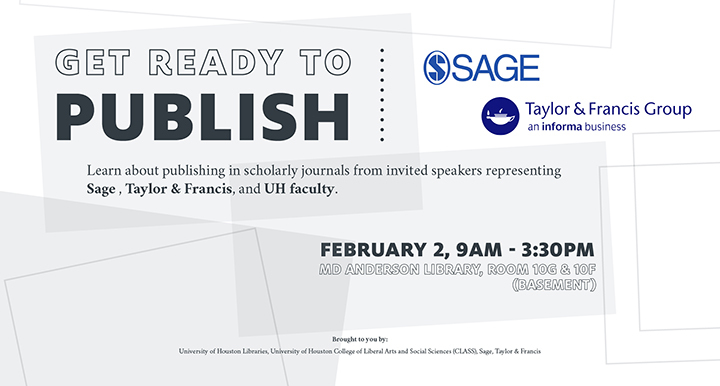 The University of Houston Libraries will host a free event on publishing in scholarly journals on Friday, February 2. Learn about publishing in scholarly journals at Get Ready to Publish! Sessions will take place in MD Anderson Library 10-F; lunch and exhibits in 10-G.
Bronia Flett-Humble, Field Editor, SAGE Publications, Inc. The 2nd Get Ready to Publish! event is brought to you by UH Libraries and the College of Liberal Arts and Social Sciences (CLASS). We thank SAGE Publishing, Inc., and Taylor & Francis Group for their support. I am Psyched! is a multimedia pop-up exhibit on national tour that explores the history and contemporary contributions of women of color in psychology. In partnership with the Cummings Center for the History of Psychology and Psychology’s Feminist Voices, APA’s Women’s Programs Office created the exhibit to engage young women of color in exploring how psychology benefits daily life. From January 22 – 30, visitors can view the exhibit in the MD Anderson Library at the University of Houston.